Abstract This article presents a sociological study of the public controversy over electricity smart meters in France. It asks how this controversy has emerged nationally and how, rather than waning as a result of expertise produced to dispel uncertainty, it has instead grown stronger. Drawing on an in-depth cross-analysis of the French press published over the period 2015–2016 and a heterogeneous corpus of institutional documents, the study highlights the public, multidimensional, and health-focused nature of the controversy, as well as its origin from scares imported from abroad. Above all, it reveals how this controversy extends beyond discussion of the intrinsic qualities of the technical object itself (the smart meter) to fuel reflection on the anti-democratic dimension of the rollout project. Abstract Two international guidelines/standards for human protection from electromagnetic fields are on-going revision. Most attention has been paid to the revisions above 3 or 10 GHz where the new fifth generation wireless communication system will be deployed soon. The frequency of 3 or 10 GHz is the transition frequency at which the metric of the basic restriction is changed from the specific absorption rate to the power density. Rationales for the metrics above 3 or 10 GHz were not well established when the current guidelines/standards were published. In this review, we focused on three issues to be considered in the next revision of the exposure guidelines: (i) the averaging area of the power density, (ii) the transition frequency at which the metric is changed from the specific absorption rate to the power density, and (iii) the exposure averaging time. 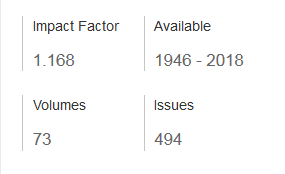 In addition, some remarks and trends on related product safety will also be reviewed and discussed briefly. Abstract Human exposure to 3.4–3.6-GHz radiofrequency (RF) electromagnetic field (EMF), which is the frequency band utilized by trial test of the fifth-generation mobile communication systems (5G), has been numerically analyzed in the study. The study evaluated the EMF exposure of this frequency band by taking into account of the channel features. Two exposure scenarios were reconstructed according to the technical specification on channel modeling from the 3rd Generation Partnership Project. The channel features of the reconstructed EMF were numerically validated. The equivalent source principle and the finite-difference time-domain method were applied to calculate the RF energy specific absorption (SA) using three human models. The results revealed that the exposure scenarios with various channel features affected whole-body SA (WBSA) by about 50–70%. The variation was mainly introduced by the configuration of the incident waves defined by the channel models. Dosimetric difference between the two exposure scenarios for some tissues has been presented and discussed. The results demonstrated that the anatomy of the model was also a factor influencing SA. Abstract With the huge growth in data traffic, the densification of the macro cell (MC) layer with low-powered small cell (SC) base stations (resulting in a heterogeneous network) will improve network performances in terms of radio coverage and capacity. However, this may influence the human exposure to radiofrequency electromagnetic fields (RF-EMFs). Through measurement campaigns in two different urban cities (in France and the Netherlands), the authors characterized the RF-EMF exposure induced by LTE (Long-Term Evolution) MC and SC networks, while considering radio emissions from both base stations (downlink or DL) and user equipment (uplink or UL). For an internet data usage and with respect to an MC connection, results showed that an SC connection may increase the DL exposure while decreasing the UL exposure (with a factor of 5 to 17), mainly due to the lower mobile phone emitted power and depending on whether the throughput is limited or not. Furthermore, the city with a dense network is characterized by low UL exposure and high DL exposure. Abstract While cellular communications operating at higher frequencies (i.e., above 6 GHz) have been attracting significant research interest, their potentially harmful impacts on human health are not studied as significantly. Few existing studies discussing the human health impacts above 6 GHz paid attention to uplink only, due to close contact of a transmitter to a human body. 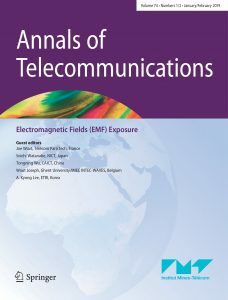 This paper claims the necessity of thorough investigation in downlink on human exposure to electromagnetic fields (EMFs). Our simulation results suggest the downlink of a Fifth Generation Cellular Mobile Communications (5G) system can generate significantly higher power density (PD) and specific absorption rate (SAR) than the previous generations of wireless systems. Our study also highlights the significance of considering SAR as a metric in evaluation of the EMF exposure at high frequencies. Moreover, this paper proposes a downlink protocol that guarantees the EMF exposure level under a threshold while keeping the data rate above the 5G requirements. Abstract To ensure human safety against electromagnetic exposures from wireless power transfer (WPT) systems operating at MHz-band frequencies, a compliance test must be conducted using either numerical simulations or measurements. In practice, measurements of the specific absorption rate (SAR) inside a human-equivalent liquid phantom are required for exposure evaluation. However, accurate measurements of SAR are difficult, especially at a location close to the phantom boundary, owing to the boundary effect, caused by the field disturbance due to the SAR probe itself. Hence, it is necessary to use an extrapolation method to determine the internal electric field or SAR. In this study, we propose a new extrapolation expression based on the characteristic of electromagnetic fields inside the phantom in order to estimate internal electric field strength or SAR. The validity of the proposed expression was demonstrated both numerically and experimentally. From the results, we confirmed that the difference in the internal electric field strength inside a liquid phantom was less than 3% between our proposed extrapolation expression and the method of moments (MoM). For SAR measurements using two types of actual WPT systems, i.e., solenoid and flat-spiral types, we found that the proposed expression can be used to evaluate the spatial peak 10-g average SAR with a difference of less than 30% compared with those numerically obtained by MoM. Abstract This paper studies the effect of antenna polarization on measurement uncertainty of a multi-band body-worn distributed exposure meter (BWDM). The BWDM is a device for assessing electromagnetic fields in real environments accurately. The BWDM consists of 8 nodes and is calibrated on the body for simultaneous measurement of the incident power density in four frequency bands. Each node contains an antenna that can have two potential antenna polarizations.The BWDM is calibrated on four human subjects in an anechoic chamber to determine its measurement uncertainty in terms of 68% confidence interval (CI68) of the on-body antenna aperture. The results show that using a fixed polarization of the antennas on body can lead to a different CI68 up to maximum 4.9 dB when worn by another person which is still 9.6 dB lower than the measurement uncertainty of commercial exposure meters. Abstract Individual exposure to electromagnetic field (EMF) originating from a user device when using different services over WLAN (Wireless Local Area Network), GSM (Global System for Mobile communications), and UMTS (Universal Mobile Telecommunications Service) technologies in different radio conditions is analyzed. The most common types of traffic were chosen (voice, Skype, web browsing, download, upload, video, audio, TV) and tested in areas of good, medium, and bad radio conditions, per wireless technology. Exposure is evaluated using triggered network reports and external measurements performed in a live network, and also using predetermined simulation results. The analysis shows strong dependence of individual EMF exposure on wireless technology, radio conditions, and service used. For all technologies and services, exposure increased with deterioration of radio conditions, except for file upload over UMTS where in bad radio conditions exposure decreased due to impact of higher layer protocols. GSM technology generated highest exposure in all radio conditions and for all services, except file upload service in good radio conditions where WLAN generated higher exposure. File upload service generated highest exposure for all technologies and radio conditions, except for GSM in good radio conditions where video streaming and voice were ahead. Abstract The specific absorption rate (SAR) measurement procedure for radio base station antennas using flat phantoms has been investigated and standardized by the International Electrotechnical Commission (IEC). This paper discusses the effectiveness of this procedure for considering Japanese human models based on numerical simulations with validation of whole-body average SAR (WBSAR) measurement. The WBSAR in two Japanese anatomical human models (adult male and 3-year-old child) and two box-shaped phantoms (large and small) using a standardized SAR measurement procedure are compared at 788 MHz and 3.5 GHz. Computational results show that the SAR measurement procedure in the IEC leads to overestimated WBSAR compared to those in Japanese anatomical human models. These results imply that the SAR measurement procedure above is applicable to not only some commonly used but Japanese human models. The WBSAR obtained using SAR estimation formulae in the IEC is also overestimated compared to those in Japanese anatomical human models. In addition, to reduce the measurement time and simplify the post-processing, this paper introduces a SAR measurement procedure based on the two-dimensional SAR distribution around the surface of the bottom of the phantom and the one-dimensional exponential decay of the SAR distribution in the direction of the phantom depth. SAR measurement examples of antennas for small radio base stations are also presented. Abstract Small cells are one of the solutions to face the imperative demand on increasing mobile data traffic. They are low-powered base stations installed close to the users to offer better network services and to deal with increased data traffic. In this paper, the global exposure induced in such networks as a whole from user equipment and base stations has been investigated. As the small cell is close to the user, the propagation channel becomes highly variable and strongly susceptible by environmental factors such as the road traffic. An innovative statistical path loss model is constructed based on measurements on two French commercial LTE small cells, operating at LTE 1800 MHz and 2600 MHz. This statistical path loss model is then used to assess global exposure of the adult proportion of a population in a scenario composed of a street lined with buildings and indoor and outdoor data users. Abstract The exposure of an 8-year-old child to a femtocell operating at 2600 MHz, both (child and source) freely located in random positions in an indoor environment, was assessed. In order to develop surrogate models of the exposure, stochastic dosimetry based on sparse low-rank tensor approximation method (sparse LRA) was used. The surrogate models were used for fastly estimating the specific absorption rate (SAR) in all the possible positions of femtocell and child. Results showed that, for all the possible positions in the room, the exposure values were significantly below the International Commission of Non-Ionizing Radiation Protection (ICNIRP) guidelines for general public and that the probability of reaching SAR values higher than 1% of the ICNIRP guidelines value was lower than 0.006. The variation of the distance between femtocell and child influenced greatly the exposure, resulting in quartile coefficient of dispersion values always higher than 48%.